Nearly 2.4 million people were internally displaced in India in 2016. United Nations: Nearly 2.4 million people in India were internally displaced due to conflict, violence and disasters in 2016, the third highest number globally, a new report by a monitoring centre said. The Internal Displacement Monitoring Centre and the Norwegian Refugee Council released a new report which ranked India third among countries most affected by displacement related to disasters followed by China and the Philippines. It said that conflict, violence and disasters caused 31.1 million new internal displacements in 2016. "In 2016, one person every second was forced to flee their home inside their own country. Internally displaced people now outnumber refugees by two to one. It is urgent to put internal displacement back on the global agenda," said Jan Egeland, Secretary General of the NRC. The highest displacements were recorded in China with 7.4 million people getting impacted, followed by the Philippines (5.9 million), India (2.4 million) and Indonesia (1.2 million). The figures for India include 796,000 people displaced as a result of conflict and violence. The report added that 3.6 million new displacements in South Asia in 2016 represented a drop of more than half from the 2015 figure of 7.9 million. 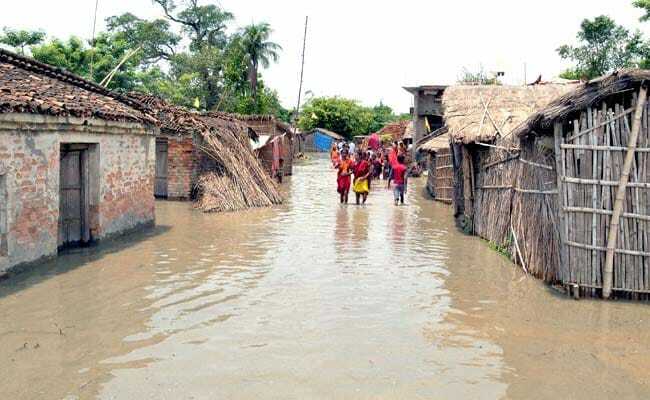 Sixty-seven per cent, or 2.4 million, were in India, most of them associated with monsoon season floods in Bihar that led to more than 1.6 million displacements between mid-July and October. It said while China, the Philippines and India have the highest absolute numbers, small island states suffer disproportionally once population size is taken into account. Further, as in the US, the size and density of populations exposed to hazards in India, China and Bangladesh results in high displacement risk, but it is pushed higher still by the numbers of people living in substandard buildings and with less resources to cope, which makes them more vulnerable. Of the 6.9 million new internal displacements caused by conflict in 2016, 2.6 million took place in Sub-Saharan Africa, according to the Global Report on Internal Displacement. The Democratic Republic of the Congo was the country worst affected, with a spike of 922,000 new displacements during the year alone. Next were Syria (824,000), Iraq (659,000), Afghanistan (653,000), Nigeria (501,000) and Yemen (478,000). "Certain countries drop off the international agenda only to re-emerge a few years later with significant numbers of new displacements," said Alexandra Bilak, Director of IDMC. "This was the case for the Democratic Republic of the Congo, which highlights how the failure to address the underlying causes of conflict and crisis results in cyclical patterns of displacement." Disasters displaced three times more people than conflicts. Most of the 24 million new disaster displacements recorded in 2016 were linked to sudden-onset weather hazards such as floods, storms, wildfires and severe winter conditions. Disaster displacement occurs mostly in low and lower-middle income countries, and is expected to increase in the future with the impacts of climate change and more extreme weather, the report said. "Despite internal displacement being the starting point of many onward journeys, it has been overshadowed by the current global focus on refugees and migrants. We need to acknowledge that, without the right kind of support and protection, a person internally displaced today may become a refugee, an asylum seeker or an international migrant tomorrow," said Bilak. The Global Report on Internal Displacement shows that displacement will continue unless there is direct funding and political attention to the underlying drivers of poverty, state fragility and global environmental change. "To the extent that the Global Report on Internal Displacement holds up a mirror, the reflection it projects is one of international indifference, lack of accountability and states' failure to protect their own people," Bilak said.